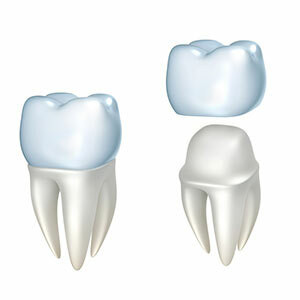 Generally, we use a porcelain material to make the crown because it blends best with your other teeth. It takes two appointments to fit a crown at Fine Dentistry. Again, there are many options for enhancing and restoring your teeth in today’s dental environment. The one way to know for sure is to visit us at Fine Dentistry to discuss your concerns and explore all available options. We’re standing by, just waiting for your call!